I love Miss Mabel and her hat. We are one human family, and when one part of the family bleeds, we all hurt. We want our country and its citizens to do what they can to provide aid, as well as hope, to this small ravaged nation. We wonder where is God in the midst of such a disaster. God has promised to be with those who mourn, as well as those who offer aid. God was with those who used their bare hands and rudimentary tools to dig survivors from the rubble. God is with those still wailing the loss of loved ones, and with those who bury the dead. God is with the relief workers who hand out water and hug now-orphaned children. God is with those who texted $10 to the Red Cross and with those who gave through their churches, synagogues or mosques. Natural disasters are not God's retribution, but an opportunity for God's people to show love, compassion, forgiveness and mercy. This is what faith is really about, not the people who spread hatred and racism, such as Pat Robertson. This year, I am pleased that the Department of Health and Human Services has partnered with the Saudi Health Ministry to prevent and limit the spread of H1N1 during Hajj. Cooperating on combating H1N1 is one of the ways we are implementing my administration's commitment to partnership in areas of mutual interest. On behalf of the American people, we would like to extend our greetings during this Hajj season – Eid Mubarak. 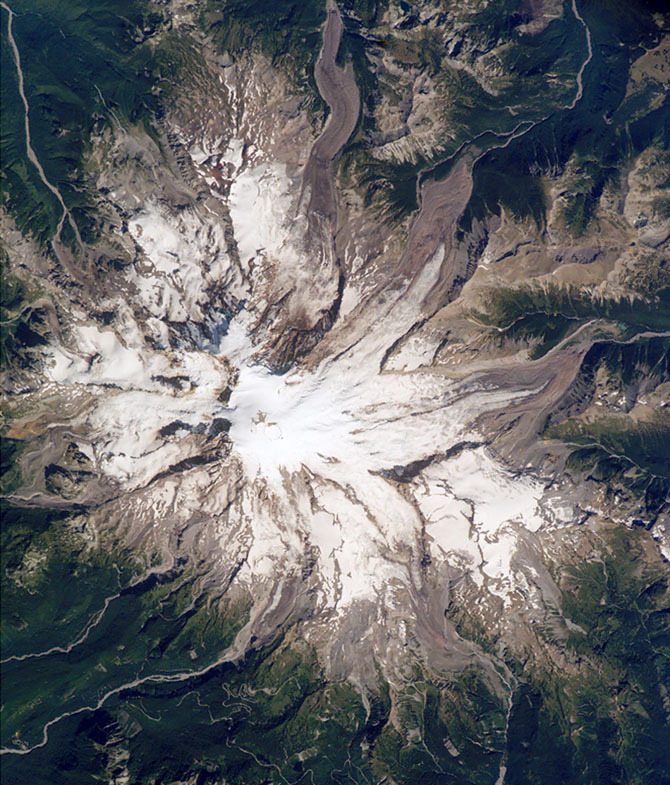 Amazing view of Mount Rainier from space. Ramadan is almost at an end!